TagTracer RFID Stick MIFARE® is a RFID-transponder reader for 13,56 MHz transponder tags with keyboard emulation. 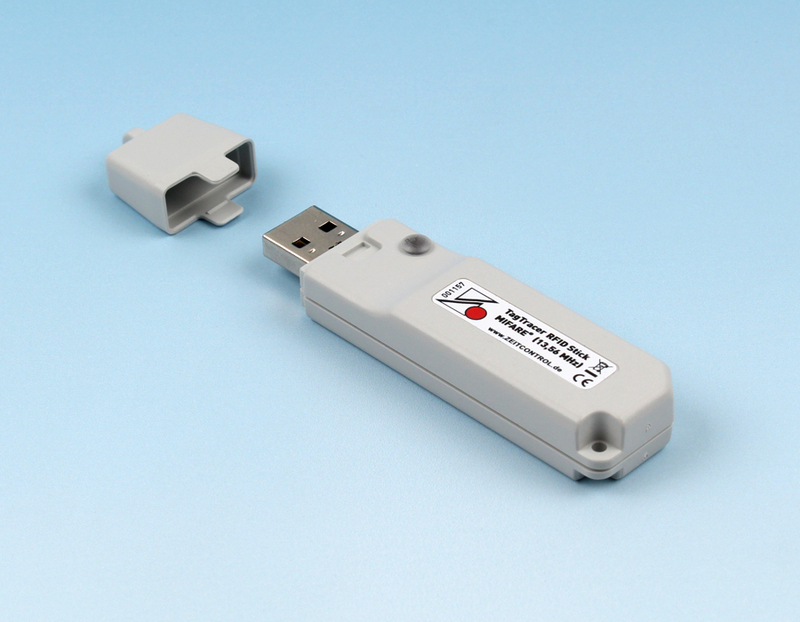 Just as small as a memory stick the TagTracer RFID Stick MIFARE® is easily connected to the USB port by Plug&Play. No device driver nor admin rights required. As soon as there is a RFID transponder within the antenna field of the reader, the transponders' serial ID number is written into the keyboard buffer of the PC. The serial number then appears wherever the cursor is: e.g. in Word®, Excel®, or any other software. Just as if the number was typed in. The TagTracer RFID Stick MIFARE® is supported by the Windows® HID-Interface (Human Interface Device) on Windows® 2000 and higher operating systems. There are no device driver nor admin rights required for installation. With a free software tool the output string format can be tailored to customers specification. MIFARE®, MIFARE® Classic, MIFARE Ultralight® and MIFARE® DESFire® are registered trademarks of NXP B.V.